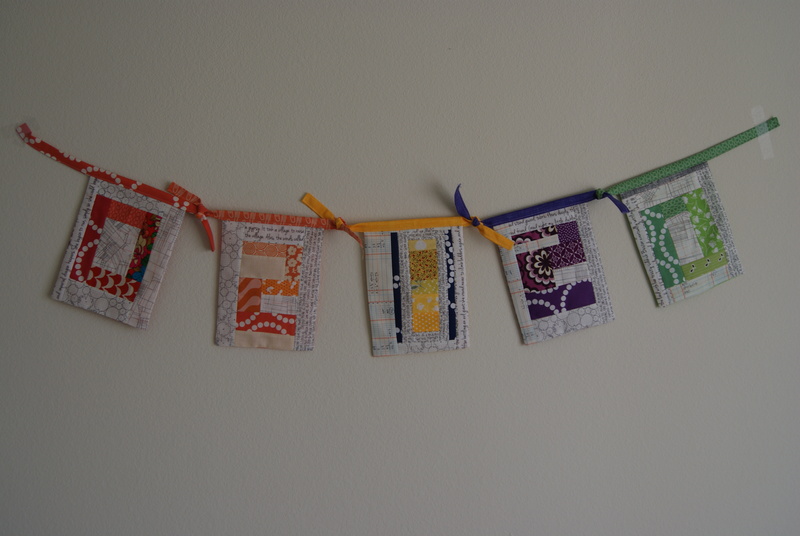 If you’ve been on the quiltywebs lately, you’ve heard that the Vancouver Modern Quilt Guild is (oh, so kindly) organizing a project to send quilt love to a grieving Boston. Amy Friend of During Quiet Time is collecting the flags and negotiating a place to display them in the city. One important piece of information that you MAY not have heard is that the flags now need to be with Amy in MA by May 21, not May 31. Subtract a week for the mail, and you’ve really got to have your flag in the mail by May 14. Like, right after Mother’s Day. Amy is asking that we take some time and sew up our flags this weekend. Um, okay. 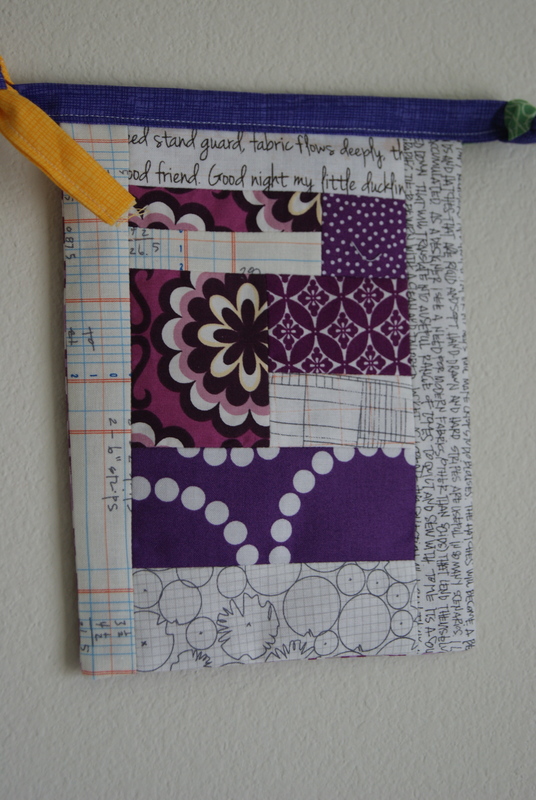 Drop all my WIPs, drag out brightly-colored scraps, and sew up a little one-day project? TWIST MY ARM. 02120 was my zip code when I lived in Mission Hill a few years ago. My husband worked at the Longwood Campus, right down the hill; I worked in Back Bay, then South Boston (commute = a million ughs), and finally in Brookline Village. I have wonderful memories of walking down the big hill with my husband to work every morning. I’d then either get on the train or walk on to Brookline Village. And the view from Mission Hill! My husband proposed to me in our apartment, which was terrible and rat-hole-y, but which had a million-dollar view of the skyline. We could see as far as Fenway, as far as the MIT Dome. One Fourth of July we invited friends over for hot dogs and whoopie pies and watched the downtown fireworks from the top of the hill. Enough nostalgia. 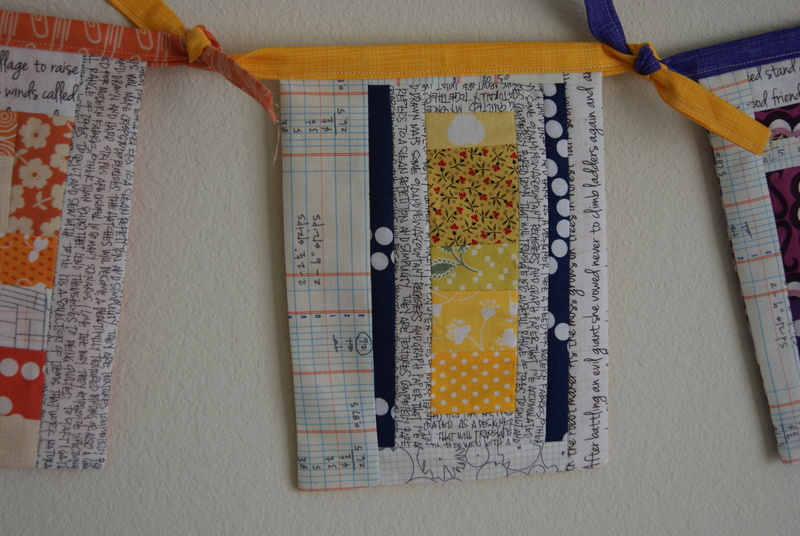 I pieced the numbers using Tonya Ricucci’s book Word Play Quilts, and they were super easy-peasy to do. NOT SCARY ONE BIT, like I thought they might be. 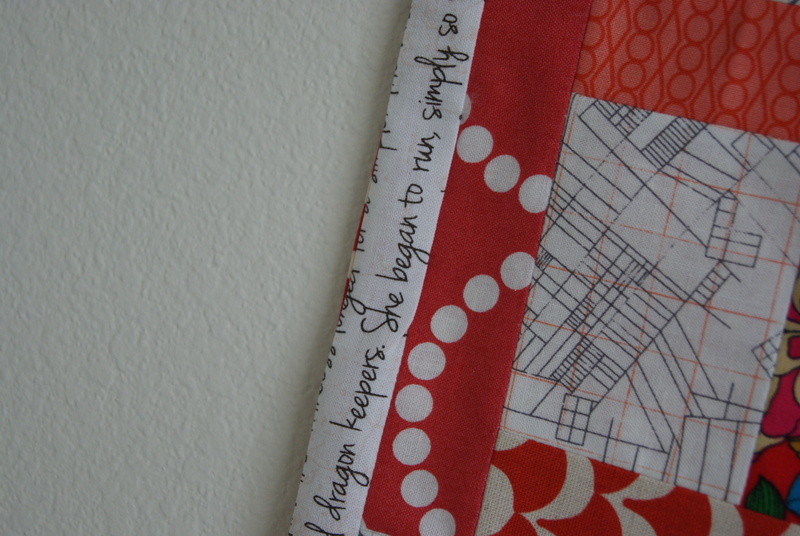 The background fabrics are my Architextures stash, with a bit of the Madrona Road Memoir Print (must restash!). I was so happy to have my Lizzy House scraps for this project. I can’t imagine cheerier colors. I love how the Memoir print somehow always says something perfectly effective wherever you’ve placed it. So, DO FLAGS NOW. Send them to Amy (please see the Vancouver Modern Quilt Guild’s blog for all shipping information, and a tutorial for flag construction). Feel a lot better.